Black eye is a phrased used to describe bruising around the eye due to trauma to the face or head. Blood and other fluids collect in the space around the eye, causing swelling and dark bruising in the tissue. When there is trauma or injury to the face, the skin around the eye – which is very loose – is one of the first places to swell as fluid builds up. Although the name “black eye” would indicate otherwise, the eye itself is usually not injured. Many black eyes heal on their own in a few days. A black eye can be a sign of more serious injury though – such as a hyphema (bleeding in the eye.) However, a black eye can be a sign of a more serious injury. For instance, if there is bleeding within the eye (a hyphema) it should be looked for any time you see a black eye. It can affect your cornea and your vision. In some cases of face or eye trauma, increased pressure inside the eyeball (ocular hypertension) can occur, resulting in damage to the eye and eyesight if not treated. If both eyes are black after a head injury, it could signify and skull fraction or other serious injury. After an injury to an eye, it is important to distinguish between symptoms of a black eye and those that might indicate a more serious head injury. Swelling around the eye, which can be mild at first, then increasing later. Swelling may make it difficult to open the eye. Discolouration (like a bruise) around the eye. The skin around the eye may be red at first, then grows darker, progressing to purple, yellow, green and/or black. A black eye is most commonly caused by something hitting the eye or nose. Either one or both eyes may be blackened, depending on where you get hit. If you suffer a blow to the nose, both eyes may swell; the swelling is due to the buildup of fluid in the loose skin beneath the eyes. Other types of trauma to the head can cause black eyes, including skull fractures. Facial surgery can also cause black and swollen eyes, including facelifts, nose surgery or surgery on the jaw. Other conditions, such as allergies and infections, can lead to swelling around the eyes, but not the bruising discolouration of a black eye. In general, your doctor can simply do a physical exam to diagnose a black eye. He or she will check your vision and test the motion of your eye by moving his or her finger in front of your face and asking you to follow the movement with your eyes. 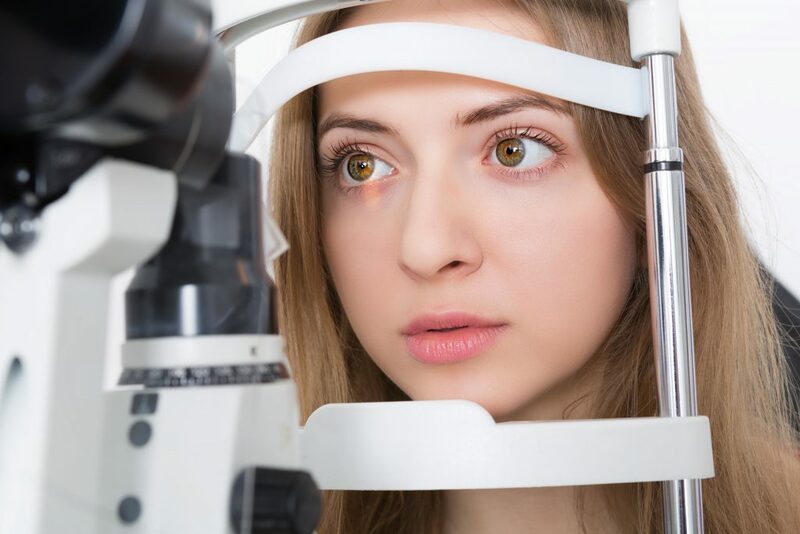 The doctor will shine a light into your eyes to assess if your pupils are dilating normally and to look at the inside of your eye for any problems. The doctor will also examine the bones in your face and around your eye. If he or she suspects you may have fractured any bones or that there might be something inside the eye, you may have an X-Ray or CT scan prescribed. A typical black eye that does not involve more serious symptoms is generally treated with self-care at home. To reduce swelling and ease pain the first day, an ice pack can be applied to the eye for 15-20 minutes at a time, once every hour. If an ice pack is not available, a bag of frozen vegetables can be used or ice cubes wrapped in a cloth (to avoid freezing the skin.) Despite what you’ve seen on TV or in the movies, it is NEVER a good idea to put a raw steak or other raw meat on a black eye. The bacteria on raw meat poses a potentially high risk of infection and this method of treating a black eye has no scientific basis. 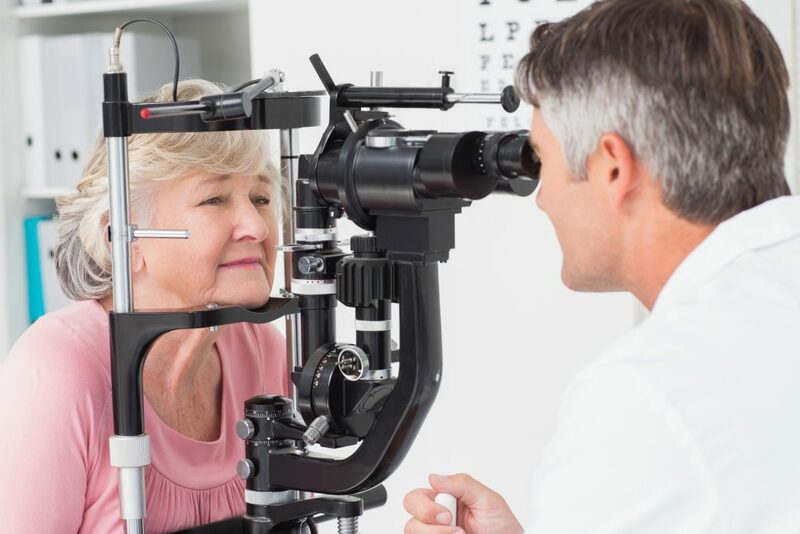 If pain or swelling from a black eye does not improve after a few days or if you are experiencing vision changes or problems, please contact Kniaziew Optometry and one of our doctors would be more than happy to examine you to make sure that there are no serious complications.